Springbok breeding ground or World Cup Warm-up? For purposes of this week’s column let’s assume for a moment that I am in favour of selecting overseas based players for the Springboks. For the record I’m not and one day, when I can muster the energy, we’ll have that debate but for now let’s go with it. With that assumption, we can then conclude that every South African born rugby player (myself and yourself included, technically) who hasn’t yet played for another international team is available for selection. Who then deserves a ticket to Europe next week? When looking at the European tour one has to decide what is more important: blooding a few exciting new players who have earned a look-in, whilst giving your stalwarts a deserved and much needed extended break, or building confidence and gaining experience with your World Cup starters playing against European teams in European conditions. Irrespective of which camp you’re in, there’s no arguing that the Springboks must field a team that can win on the day. It’s still the Springboks and no amount of experimentation and rotation should be permitted to come in the way of winning Test matches. And make no mistake, we’re in for 3 tough Test matches: losing World Cup semi-finalists and finalists at their home venues and England at Twickenham is no second-tier tour. We will have to perform very well to remain unbeaten in November. 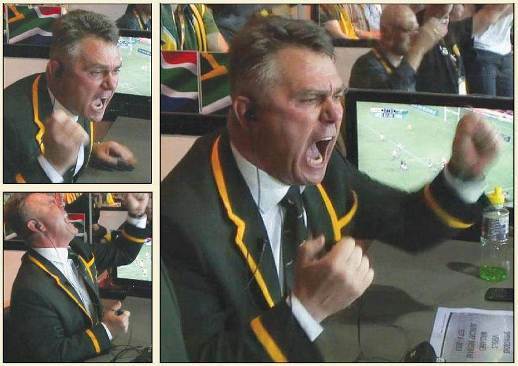 With that in mind, what should Heyneke Meyer be thinking about? The way I see it, the bulk of the team who did service at Ellis Park are the bulk of the players who will make up Meyer’s World Cup team and are the bulk of the players who ought to feature on the European tour. There are a few positions which are not yet settled which Meyer can fiddle with. At tight-head, we’ve seen Jannie du Plessis (literally on some occasions) played into the ground over the last few seasons. The Boks coaching staff seem convinced that Coenie can make it as an international tight-head. The jury’s still out as far as I’m concerned but what better way to find out than to have him take the lead for the next three Tests. Further to that, let’s see Jannie get a proper rest and see what Lourens Adriaanse has to offer at international level. There’s no point in lugging him around as a tackle-bag holder all season long and not seeing what he’s made of. Surely it’s time we see Pat Lambie in a starting 10 jersey? I agree fully that Morne Steyn outplayed Lambie this year and deserved to start. But with Steyn bound to get ample European style game time over the next few years and Lambie looking all class for the Sharks lately, let’s see some good old-fashioned rotation policy. By my account, the Boks’ biggest concern is at lock. With respect to Juandré Kruger and Flip van der Merwe, we still don’t have the partner we need for Etzebeth. I see Eben comfortably slotting into the 5 lock position. He likes to play as loose a game as he is allowed. He likes to tackle and run. He needs a workhorse 4 lock to partner him and to match his physicality and there is only one name which springs to my mind. Thankfully he’s just train ride and a few passport stamps away. I would have sleepless nights of excitement to see Bakkies partnering Eben for a few Tests. 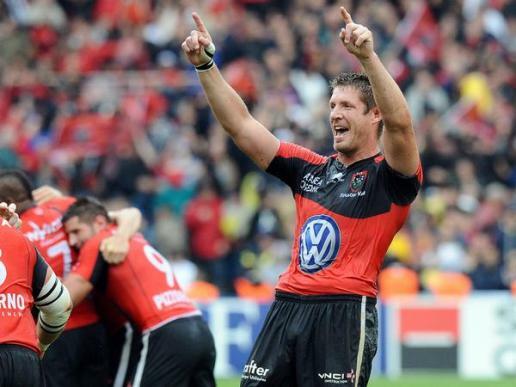 There is no denying Bakkies’ quality and worth and he certainly has enough left in the tank to make it to the World Cup. He will add enough grunt to the pack to allow Eben to play away from the pack a little more, which could be devastating for opposition teams. If our biggest concern is at lock then the fullback conundrum is a close second. I don’t dislike Kirchner nearly as much as most people do, but I agree that we can do better. With Willie looking sublime on the wing I’d be inclined to keep him there. My call would go out to JP Peterson who will be eligible for the November Tests. He’s tall, strong, fast, an experienced Test player, solid under the high-ball and no slouch with the hoof. His combination with Willie and Habana could be lethal. One last player who many will be calling for is Rory Kockott. 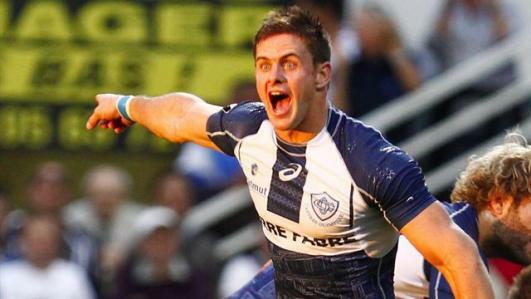 He has been playing in France for a number of seasons now and has just been awarded the Top 14 Player of the Year. As much as he excites me, and he does, I just don’t see it working. It’s one thing recalling an overseas based player who is either a tried and tested Test veteran, a player who has played alongside the majority of the Test side previously or a player who has played under the coaching staff for a number of years previously. It’s quite another selecting a player with no international pedigree, no relationship with how the team plays its rugby or how the coach instils his game plan. A guy like Fourie du Preez ticks all those boxes, as does a guy like Bakkies. Kockott, sadly, doesn’t. In du Preez, Ruan Pienaar, Jano Vermaak and the injured Francois Hougaard we have enough depth at scrumhalf to take us to the World Cup, all of which are already entrenched in the team’s way of playing and thinking. 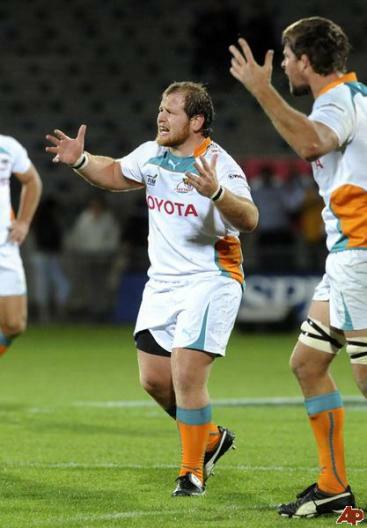 Coenie ‘One Dimensional’ Oosthuizen in starting 15? And JP at 15? How many dimensions does a tight-head prop need to have? I also wouldn’t mind seeing Aplon in the squad, he’s had a great season. He wasn’t great in the final but has shown more than enough throughout the season.